The countries of the European Economic Area (EEA) have agreed on common minimum regulatory requirements in order to ensure the free movement of products within the EEA. The CE marking indicates that the product works in conformity with the directives that are valid for the product. The directives state the principles that must be followed. Standards specify the requirements that must be met. EN61800-3 (part 3) is the EMC product standard of adjustable speed electrical power drive systems (PDS). Meeting the requirements of this standard, is the minimum condition for free trade of power electronics converters inside the EEA. 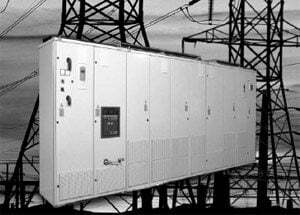 EN61800-3 states, that the manufacturer shall provide in the documentation of the PDS, or on request, the current harmonic level, under rated conditions, as a percentage of the rated fundamental current on the power port. The referenced values shall be calculated for each order at least up to the 25th. The current THD (orders up to and including 40), and its high- frequency component PHD (orders from 14 to 40 inclusive) shall be evaluated. For these standard calculations, the PDS shall be assumed to be connected to a PC with Rsc = 250 and with initial voltage distortion less than 1%. The internal impedance of the network shall be assumed to be a pure reactance. In a low voltage public supply network, the limits and requirements of IEC1000-3-2 apply for equipment with rated current ≤ 16 A. The use of the future IEC1000-3-4 is recommended for equipment with rated current > 16 A. If PDS is used in an industrial installation, a reasonable economical approach, which considers the total installation, shall be used. This approach is based on the agreed power, which the supply can deliver at any time. The method for calculating the harmonics of the total installation is agreed and the limits for either the voltage distortion or the total harmonic current emission are agreed on. The compatibility limits given in IEC1000-2-4 may be used as the limits of voltage distortion. BiSS is the leading manufacturer of Test Systems, Universal Testing Machine, and Structure Testing machine in India.